The European Commission is moving at pace to make the European Pillar of Social Rights a reality. In March it presented what it called a ‘Social Fairness Package’, where it proposed that the EU should establish a European labour authority to make sure EU rules on issues including the posting of workers and the coordination of social security schemes are being followed. Social policy initiatives with a whiff of supranationalism are usually get defensive reactions in the Nordic region. 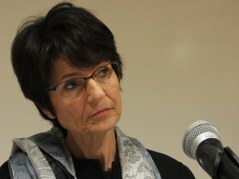 During the deliberations about what would become the European Pillar of Social Rights, it was important to the Nordic countries that this did not contain any binding rules and that it did not increase the EU’s competence to pass legislation on issues relating to labour law and other social issues. This should still primarily be the responsibility of the member states. And that is what happened. The social pillar is just a political declaration which has established principles and common aims for the EU and the member states, without saying anything about how these should become reality or at what pace this should happen. The European Commission has, however, demonstrated that it is determined this should be carried out at pace. Only a few weeks after the social pillar was adopted at the social summit in Gothenburg in November, the Commission presented a proposal for a directive which contained new minimum rights for employees in the EU (see ‘Swedish social partners warn against EU directive on employment conditions’). In addition, the Commission had begun talking about establishing a European labour authority to ensure that EU rules on labour mobility are enforced in a fair, simple and effective way. What did that mean, exactly? Would an EU authority take over tasks which the member states’ own supervising authorities – or even the social partners – were responsible for, like in Denmark and Sweden? Denmark’s Minister for Employment Troels Lund Poulsen expressed his misgivings in a letter to Marianne Thyssen, the commissioner responsible. In the first place, he felt there was no need for a new authority to solve existing problems. It was better to keep building on cooperation and mechanisms already in place. If the Commission does stick to its plans for a European labour authority, three demands must be fulfilled, according to the government minister. Firstly, the principle of subsidiarity and member states’ own authorities must be respected. Secondly, it must leave space for the different labour market models and priorities member states may have. It is for instance crucial that a European labour authority does not encroach on the autonomy of the social partners and the key role that they play. Thirdly, the authority should not have any supra-national competences. It should only concern itself with improving the enforcement of existing rules, wrote Troels Lund Poulsen. On 13 March the Commission presented its finished proposal on ‘the establishing of the European Labour Authority’. So what does the Commission envisage the authority to be doing? The European labour authority is not meant to replace member states’ own supervising authorities, or control them. The aim is to ensure that people who find work in a different country, or who are posted there by their employers, should have their rights, as defined by EU rules, protected. The authority will do this by making it easier for employees and businesses to access information about rights and responsibilities in a certain member state. It should also support member states in their efforts to monitor that rules are being observed, which would include the use of joint inspections. A third task will be to mediate between member states in the case of disputes over for instance how social security rules should be adapted for an employee who has been working in several countries. It remains to be seen whether the Danish government believes the proposal fulfils all the demands presented by the Minister for Employment. Sweden’s Minister for Employment Ylva Johansson, who shares many of her Danish colleague’s concerns, says she is “cautiously optimistic”. She believes the proposal at least does not upset the power balance between the EU and the member states. Whether a new authority is the best solution remains to be seen however, according to Ylva Johansson. The Minister for Employment does face protests from the centre-right opposition in Sweden’s parliament, however. It feels the proposed European labour authority is just another step towards ever-increasing supranationalism when it comes to labour market issues. The ‘Social Fairness Package’ presented by the Commission on 13 March also included a proposal that the Council of the European Union adopts a recommendation that member states should improve social protection for workers with precarious employment conditions and the self-employed, and give them the right to unemployment benefits, sick pay and other social security benefits which they cannot access today.